How to Remove Mold in Seattle? Posted on January 17, 2013 at 2:38 pm. What is the Best Way to Remove Mold? Over the years, and especially recently, there have been many products and “home remedies” developed to remove mold. But the truth is, unless the mold you want to get rid of is growing on food in the refrigerator or on a non-porous surface such as tile or glass, removing mold is a more serious issue than a “home remedy” can fix. But they don’t have to be large disasters, they can occur on a smaller scale, such as one company that was located in Redmond, WA, had their office flooded with only about 2″ of water when a storm drain backed up. By the time the water was finally removed, and the carpets dried ( about 2 days) mold had begun growing on the walls around the baseboards in several places. Once this type of mold growth begins, the best and safest way to remove it is to have it professionally done by trained, certified mold remediators. To begin with, a trained mold remediator understands the serious health issues and damaging effect on your home mold can have if left either untreated or treated improperly. They know how to locate mold that may be hiding in places you might not think to look. They also locate the source of the excess moisture that has encouraged the growth to begin with. It is a waste of time to remediate the mold, if the problem that has caused it is not addressed. 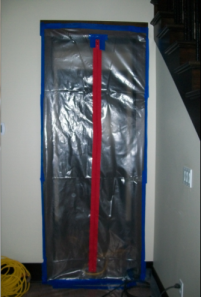 They understand the importance of totally isolating the contaminated area so that as they work, mold will not travel to other areas and begin growing there. When possible, the affected areas will be treated with a professional strength mold remover. But if the mold can’t be remediated in that way, the contaminated materials will be removed, bagged and sealed and discarded. In the example of the business above, the damaged wallboard had to be cut out and replaced. Using a HEPA vacuum, the entire job site will be cleaned from all debris. The affected area is then treated with an anti-microbial that is non-toxic and non-VOC emitting to prevent the mold from returning. A final inspection is completed to make sure all signs of mold are gone and that all materials used in remediation are disposed of. 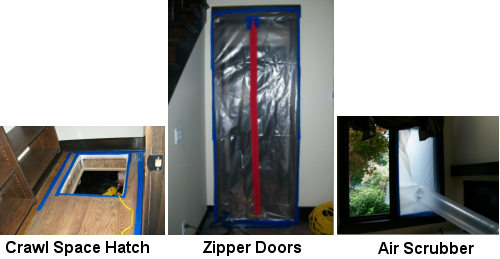 These are the processes that Mold Solutions NW use to guarantee your safety and good health. We offer a 10 year warranty for your peace of mind. Posted on January 25, 2012 at 11:49 am. Black Mold Can Destroy Your Home And Health! 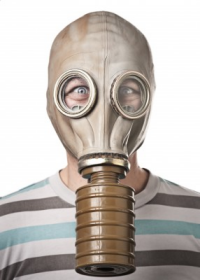 Mold is considered a predator that can grow almost anywhere and in many cases undetected, which gives it an opportunity to grow uncontrolled and pose a dangerous threat to your health. If you think you have found mold in your home, office or any other facility, you should have it inspected by a professional, certified inspector as soon as possible. Why can’t you take care of it yourself? 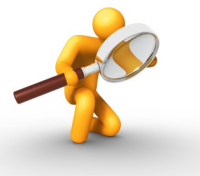 Thoroughly inspect every nook and cranny of your home, areas you may not think to look at. Offer a proposal or solution for mold remediation with a detailed explanation of the protocol. Using a HEPA vacuum, the entire work-site will be swept clean of all debris to minimize the transference of contaminated particles. Apply an EPA registered anti-microbial. Remove all equipment and materials used on the job site. We are a full service mold solutions provider, who can remove the threats to your health and safety caused by mold. Our inspectors and technicians are IICRC certified and are experts in the field. Our work is affordable, environmentally friendly, permanent, and all of our services are backed by a 10 year warranty.